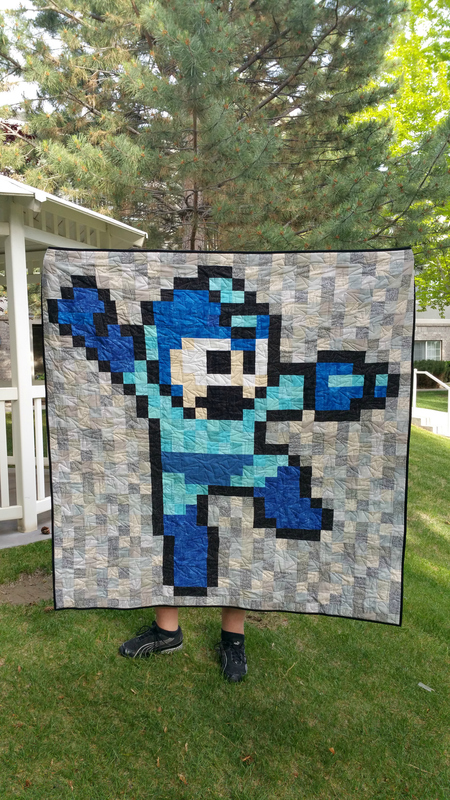 Almost exactly a year after finishing the top for this quilt, the Mega Man quilt is officially complete! I am very happy with how it turned out, and my husband is as happy as a child with his new quilt. 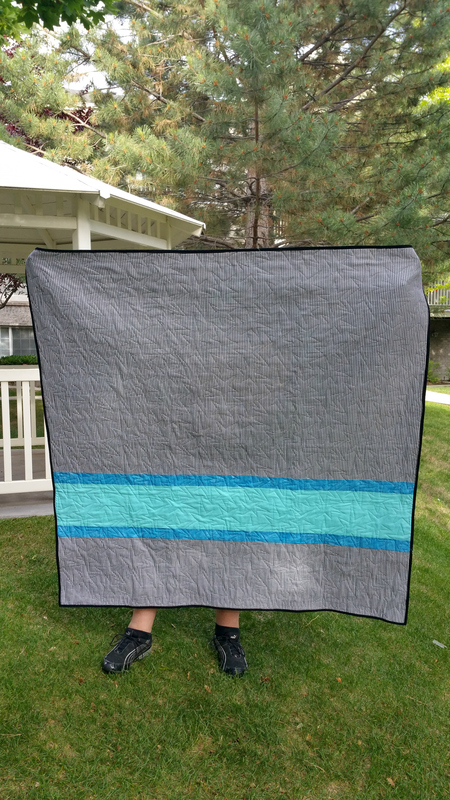 My MIL completed the back, quilting, as well as the binding, as I finished up my first year of teaching. 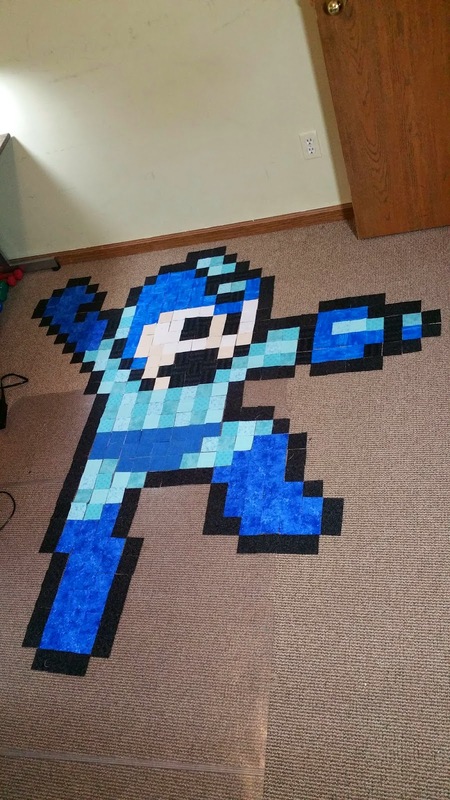 This quilt was a long process since it has 960 two inch blocks that had to be carefully planned, laid out, then sewed, to come together to look like the favorite pixelated character, Mega Man. 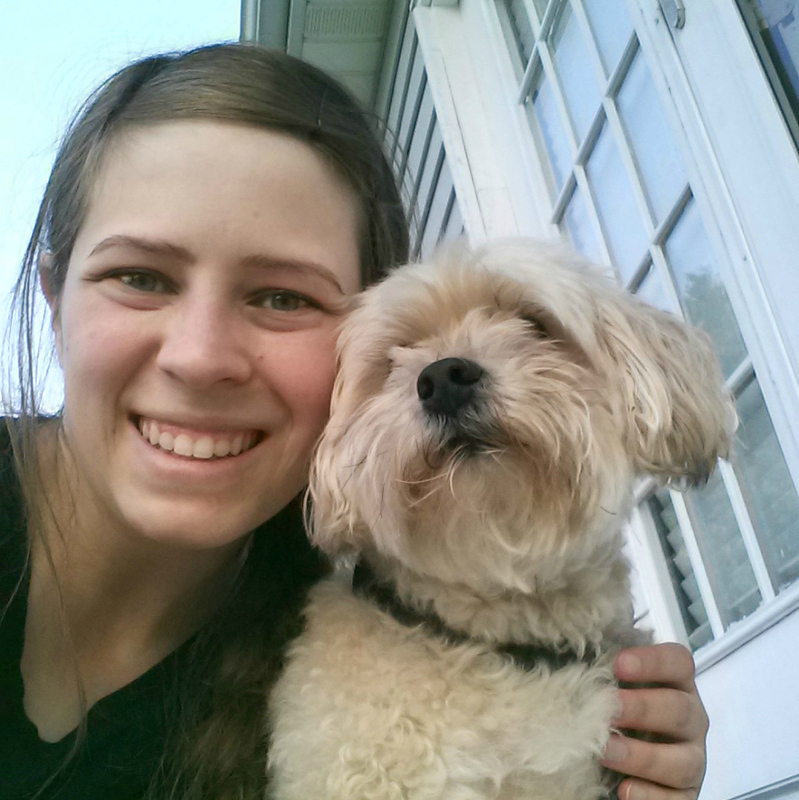 I used this image to help with the front, and this image to inspire the back. 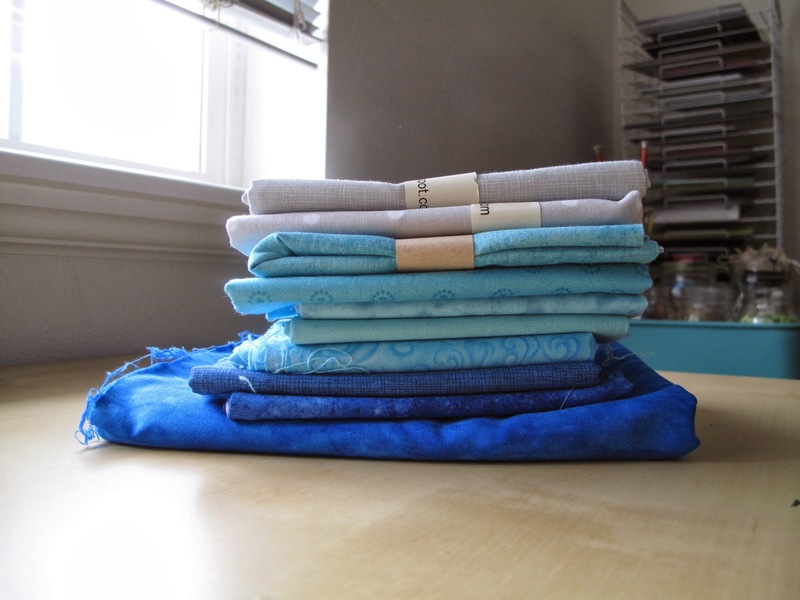 Although the sewing was easy since it was just blocks, it was very time consuming, but completely worth it after seeing the finished product. 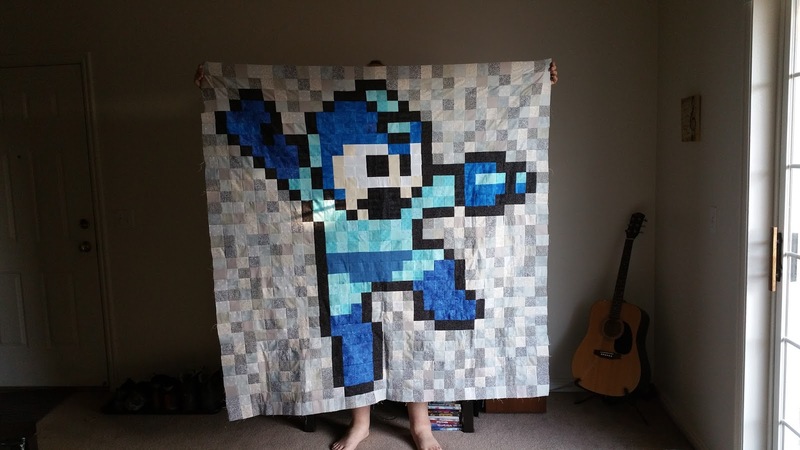 There will definitely be more video game quilts in my future! 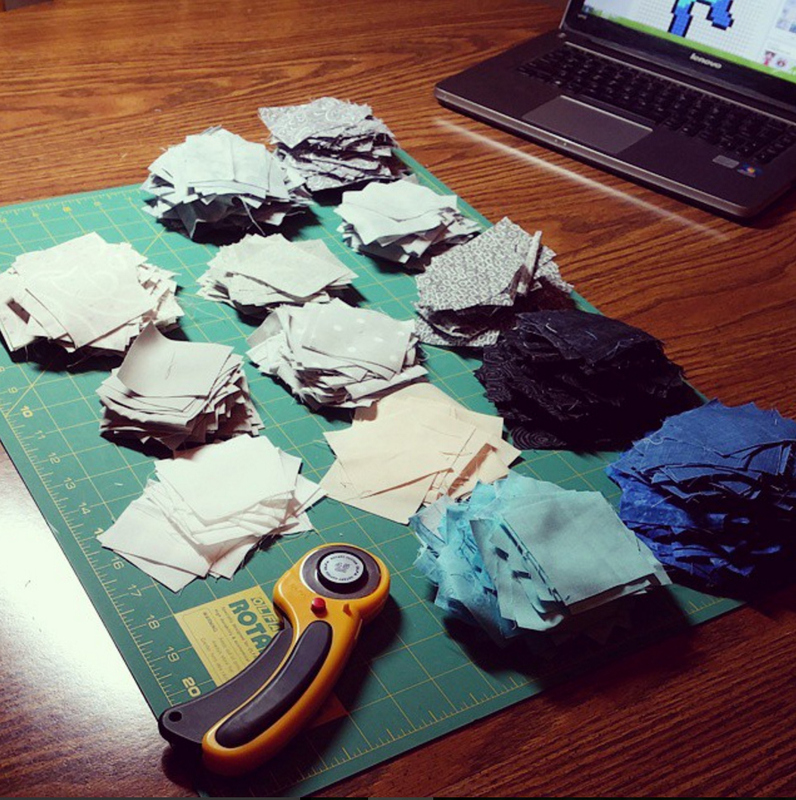 After cutting all 960 squares.. 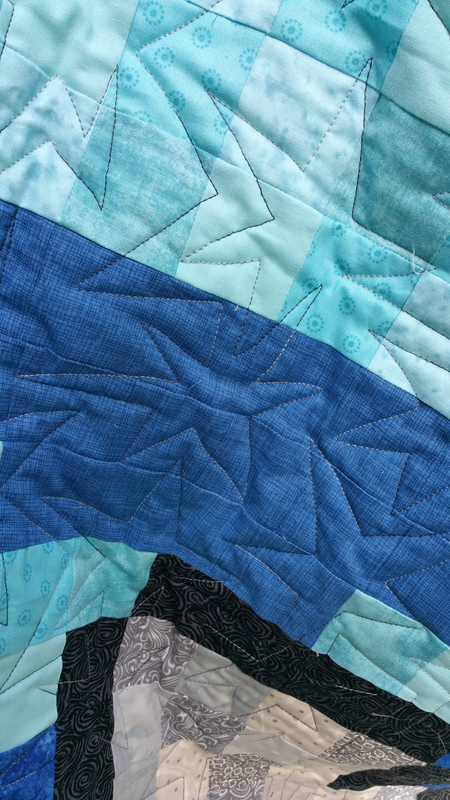 This entry was posted in Quilts on June 14, 2016 by Megan.